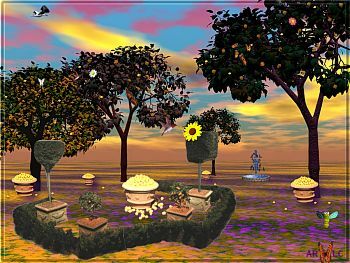 Animations of birds, butterflies, bees, and many others flitter over an image of imaginary lemon trees with music. Background images copyright, ART-TLC.com. Original Lemon image copyright, Zettweb.com. Download Free Wallpaper from this screensaver! Screensaver copyright, ART-TLC ©.This screensaver fits any screen settings, but best at 1024x768.